These movement building blocks help young beginners master the complex movements of playing the violin while singing enjoyable songs that they will eventually play on the violin. 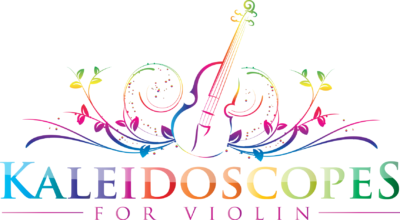 Skills include playing position for the violin arm, keeping the left wrist flat, keeping the first finger closed while relaxing the thumb (on the violin hand) and more. Learn how to teach bowhold and straight bowing to young beginners. Great note-reading activities for pre-Twinkle students. A refreshing glimpse into the world of a young child. What does the world look like through their eyes? The first secret to teaching young beginners is to intrigue their mind and captivate their imagination. Creating structure, setting boundaries, and yet bringing imagination and spontaneity … how to find the balance that creates a delightful relationship and intensive, high-quality learning for each child. Learn how to communicate in a way that mirrors a child’s experience, both emotionally, physically and cognitively … and makes learning enjoyable! Learn how to set up practice parents so that your students consistently show up to lessons with great results. Introducing skills too early can create frustration for a young child and significantly slow the learning process. Here are some tips for sequencing skills, recognizing when you’ve missed a “hidden” prerequisite skill, and an overview of the learning process from a developmental and neuroscientific point of view. Movable-do solfége is a perfect tool for learning songs, internalizing tonal patterns, transposing and reading music. With singing and solfége built into lessons, your students will have a natural foundation for learning the language of music. Lessons for young beginners weave together piano, violin movements, and literacy. Learn how to create a natural flow in lessons, with intrinsically enjoyable activities that keep the child fresh and engaged.